When he took over from Ahmadou Ahidjo in 1982 as Cameroon’s second Head of State, Paul Biya who had already served his country in senior positions for two decades, could guess what would be his crucial tasks at the helm. In this light, it was therefore no surprise to compatriots that the new leader launched his presidency with the crusade of rigor and moralization. Cameroon was in dire need of rigorous administration and moralization of action and institutions. The task had to be accomplished. With this welcome policy as one of his ideas, neither the president nor his compatriots could have dreamt that in less than two decades of his administration, Cameroon would be rated by a European NGO, Transparency International as the most corrupt country in the world. Without going into the polemics of what this German NGO used to arrive at the classification, the Biya administration opted for strategies aimed at redressing the disturbing classification. For, no matter the position allocated the country, the fact that this beloved nation of intelligent and peace-loving people had been counted among the corrupt nations, it triggered action aimed at tackling a weakness worth redressing. This burning desire resulted in the creation of anti-corruption strategies, besides a special criminal court to handle cases of embezzlement of public funds by workers. Those that have lost their liberty since the punitive launch of action against embezzlers prove that in this redress efforts, the law is no respecter of personalities. The April 6 1984 abortive coup d’Etat was another unpleasant surprise, but the silver lining in that cloud was the restructuring of Cameroon’s political landscape, raising it from seven to ten provinces, today’s regions. As the New Deal government of President Paul Biya celebrates its 35th year in office, some observers may be wondering what results have been attained as a result of the stick and the carrot strategies adopted by the regime. But one thing remains clear and significant. Billions of CFA francs have been recovered and besides other changes for the better as far as the degree of white collar theft in offices is concern. This anti-corruption crusade aside, the Biya administration in 35 years has survived a variety of socio-economic and national calamities that only a cool headed and tactful leader could manage, and forge ahead. The natural shocks which ranged from Mount Fako eruptions and River Noun gas flows to the Lake Nyos disaster in which 1800 Cameroonians lost their lives as painful as they were, gave the Biya administration the opportunity to seek cooperation and domestic means to weather the storm and prevent the worse ahead. Besides these calamities which included plane crashes, and train derailments were economic problems. These Socio-economic challenges which included the shortage of sugar and cement, with the economic crisis of the 1980s kept the Biya regime working to alter trends through self-help and by qualifying for a poverty status that attracts foreign financial assistance. While many critics wondered why a rich country like Cameroon should struggle to qualify as one of the poorest and gravely indebted countries, the Biya regime knew that it was one of the unpleasant means of swimming out an economic crunch. 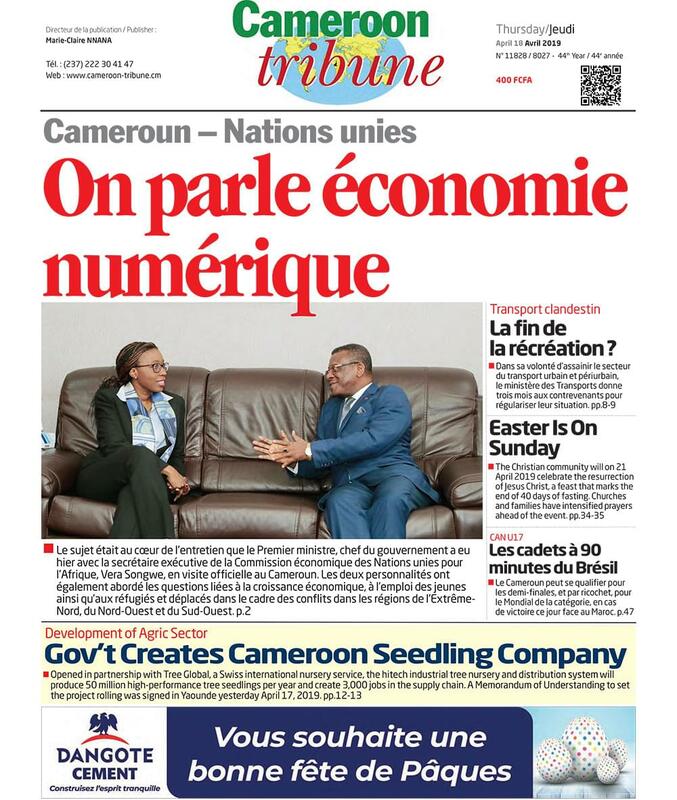 In those years, no one could dream that in less than one and a half decades, Cameroon would find itself in the position that it today boasts of. The socio-economic challenges have not been completely stalled, but the change in citizens’ lifestyle and national investments speak for themselves. The redress that has taken place since Cameroonian workers succumbed to salary reduction as a result of an economic crisis, are fast becoming a nightmare of yesteryears. These changes for the better after the pangs of an economic crisis needed an administration that works in the interest of its people. Fortunately, the Biya regime worked to regain the credibility that makes it possible to borrow extensively for investment as well as diversify relations in order to reap the best from globalization. This has not been attained without some hitches but the gains from these pains are conspicuous. If the survival of nations depended solely on economic shrewdness, there would be very little to disturb us in Cameroon today. But there are other socio-political challenges that range from the Bakassi conflict with Nigeria, a turbulent democratization process, Boko Haram and today the Anglophone crisis. While the Bakassi peninsular boundary crisis took years to handle and in the end the Biya regime took credit for giving peace and dialogue the importance it deserves in conflict resolution, there is a challenge for his administration to view seriously what is today threatening our unity. We must face squarely the challenges of putting to an end to the Anglophone crisis which does not only tarnish our enviable image, but also betrays our political maturity, and above all, our patriotism. That the Biya regime has survived several challenges in 35years despite their gravity, gives us the hope that with the goodwill already shown in the handling of the demands of Common Law trade unionists, and those of our teachers, government would continue to demonstrate this goodwill in doing all to keep Cameroon one and indivisible.